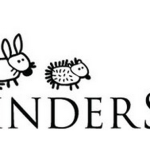 jobs@kinderstube.org the Kinderstube Director Yvonne Beils. We are looking forward to receiving your application. cognitive development of the child. The BAKS program seeks to stimulate language ability through play and theme-based preschool activities. The language of instruction and interaction with the children is exclusively German. BAKS does not discriminate on the basis of nationality, race or religion. ● Assist in providing instructional activities and opportunities that foster German language skills and encourage curiosity, exploration, and problem solving appropriate to the developmental levels and learning styles of children. ● Assist in planning and preparing classroom; provide a supportive environment in which children can learn and practice appropriate individual and group behavior. ● Assist in the supervision and oversee safety of the children, from the time of arrival to parent pick-up, both inside and outside the building. ● Maintain open and cooperative communication with parents/caregivers and families. ● Assist in planning and implementation of cultural celebrations that are an accessory part of the program (Laternenfest, Winterspiel, Spring Breakfast, Mother’s / Father’s Day and Graduation celebration). ● Change diapers of younger children; support efforts of the parent/caregiver in toilet training. ● Assist in administration of snack and supervision of lunch. ● Perform miscellaneous job-related duties as assigned. ● In fulfillment of the mission of Bay Area Kinderstube, the German language is to be used as the language of instruction with all participating children. ● Has completed at least 12 post-secondary Early Childhood Education units or equivalent quarter units at an accredited college or university and can show at least 1 year of work experience in a licensed day care center or comparable group child care program. ● The educational units specified above must include courses which cover the general areas of child growth and development or human growth and development; child, family and community or child and family; and program/curriculum. ● Experience shall be verified as having been performed satisfactorily, at least three hours per day for a minimum of 50 days in a six month period, as a paid or volunteer staff member under the supervision of a person who could qualify as a teacher or director under these guidelines. ● Possess a current and valid Child Development Associate (CDA) credential with the appropriate age level endorsement issued by the CDA National Credentialing Program, and have at least six months of on-the-job training and/or work experience in a licensed child care center or comparable group child care program. ● Possess a Child’s Center Permit issued by the California Commission on Teacher Preparation and Licensing. vacation during the school vacation weeks between each of the school semesters, in accordance with the work schedule (typically December/January and August). Teachers also receive the following paid holidays when scheduled to work on any of the following days: Labor Day, Thanksgiving Break, Martin Luther King Jr. Day, Presidents Day, Easter Break, Memorial Day, and Independence Day. Teachers may also receive 80 sick/personal leave hours per year and up to 21 hours of paid educational leave per year. Please refer to the Verzeichnis Deutscher Kindergärten im Ausland within your resume letter.